1967 Philips – 353 311 pf – Mono. 1968 Fontana – 269 082 TF. 1968 Parlophone – DK 1669. 1969 Phonodor – 74 035. 7′ EP. 1970 Phonodor – 72 020. 1972 . Polydor – 2052 025. Published with 3 different covers. Click on the image to the right. You will see the two covers. The third cover came as a publishers cover. 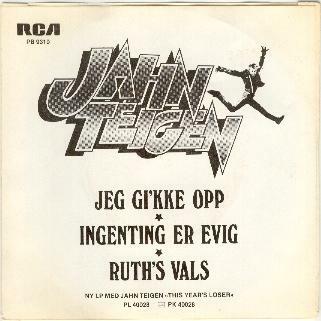 They have “borrowed” the voice of Jahn Teigen at the singlets’s B side with the song “Wheel of Love”. 1973 Polydor – 2052 063. Second Release. But with the publishers cover. 1976 Mercury – 6084 211. 1976 Talent – TS 045. 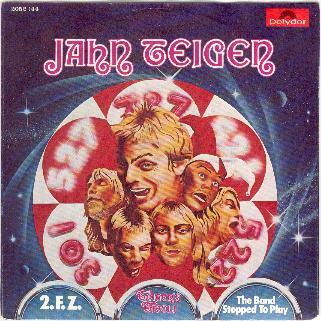 1976 Polydor – 2121 280. 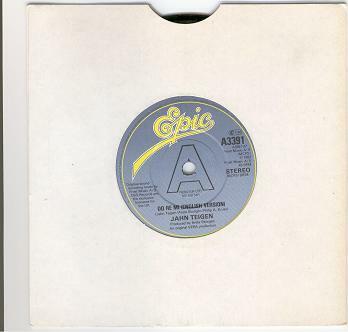 1977 Polydor – 2052 144. 1978 RCA Victor – PB 9230 (DS 9230). 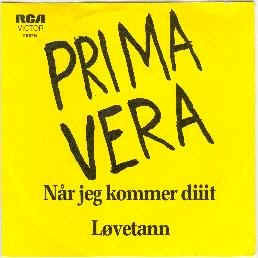 1978 RCA Victor – PB 9230 (DS 9230).When this single was released in Norway, The Swedes used it as a “Provskiva” in Sweden. “Provskiva” sticker is still on the label. 1978 RCA Victor – PB 9229 (DS 9229). 1978 RCA – PB 9229. 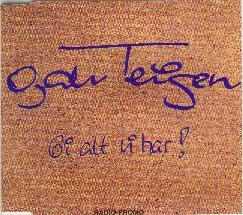 Mil etter Mil, CD single. 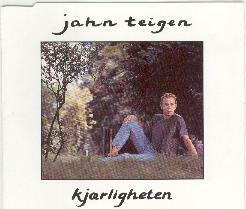 DThis is the very first “Bootleg” of Jahn Teigen. 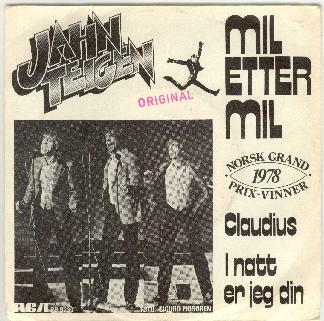 It is “Mil etter Mil” live from the ESC final in Frankrike, 1978. 1978 RCA Victor – PB 9310 (DS 9310). 1979 RCA Victor – PB 9351. 1979 RCA Victor – PB 9405 (DS 9405). 1980 RCA Victor – PB 9523 (DS 9523). Det er Sverige som er bra / Så lycklig i Norge / Två minuters tystnad. 1980 RCA Victor – PB 9400. Det er Sverige som er bra / Så lycklig i Norge / Två minuters tystnad. The triangle in the middle is “Welded” in place. 1981 RCA Victor – PB 9746. 1981 RCA Victor – PB 9805. 1981 RCA Victor – PB 9797. 1982 RCA Victor – PB 60020. 1982 RCA Victor – PB 9851. 1982 Polar – POS 1299. 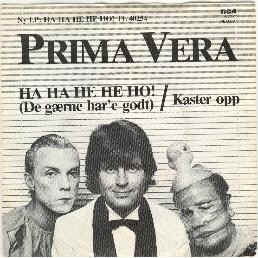 This single was released in England in assosiation with the Eurovision Song Contest 1982. 1982. RCA Victor – Pb 9851. This single was also released with a “Test Pressing” on the label. Side A. 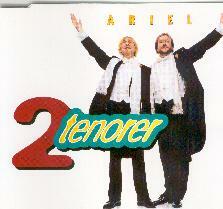 1982 Polydor – 2002 134. 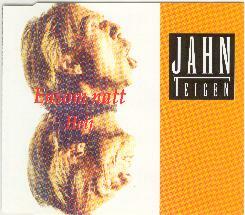 This is the second “Bootleg” of Jahn Teigen and Anita Skorgan. It is”Adieu” live from ESC Final England, 1982. This 12 inch were made in only a few copies. 1983 Sonet – 7′ – T 20050. Pressed and released ONLY in Sweden. 1983 Polydor – 811 617-7. 1983 CBS – CBSA 3391. 1983 Sonet – T 20033. Edition pon Sonet – T 20033 was released with an error. 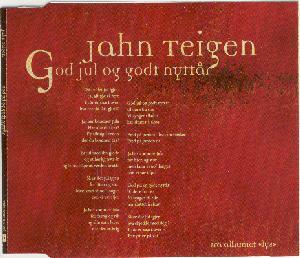 On this single, side 2 exists on BOTH sides, but only on the Norwegian version. This one is released in PORTUGAL. 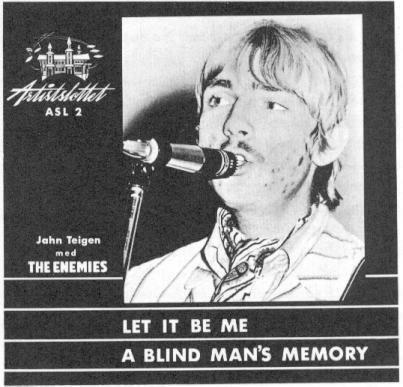 Below is an image of the single. 1983 Friends Records – 190.007. Notice: Edition with the English Version on side a and the Norwegian Version on side b. 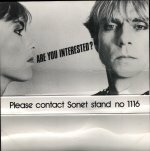 1983 EPC A3391 – Promo Single, Released in England. 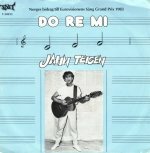 Do re mi, CD singel. 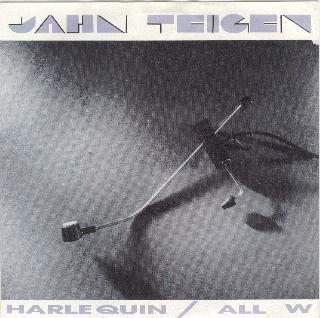 Third “Bootleg” of Jahn Teigen. It is “Do re mi” live from ESC in Germany, 1983. 1983 Sonet – T 20041. Identical to the Swedish Edition but with a double a – side. 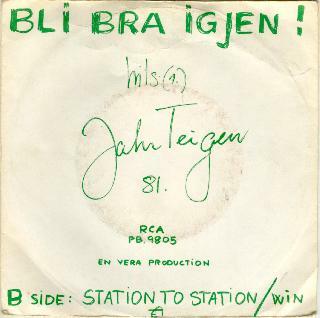 Side A: SVT Tevegram label. 1984. Toolex Alpha – 7. This is a test record prior to release. Few Copies Released. 1984 Sonet T – 9603 – Rosa vinyl. 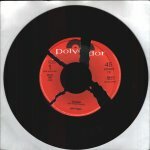 Sonet – 12″ – 9603 – Rosa vinyl. Sonet – MC – TMC-9603. 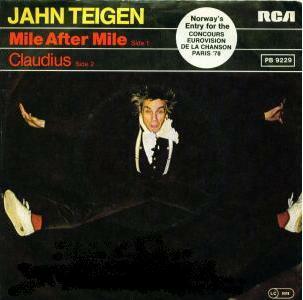 Released in Germany in assosiacion with “La Bohem”. When this was released in Germany, a note was following. It`s about Anita’s single “Easily Fall” from 1986. And “La Bohem”. 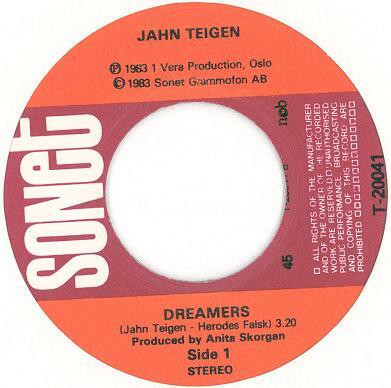 1986 Polydor – 7′ – 885 311-7. Polydor – 12′ – 885 311-1. Polydor – 12′ – 885 311-17. Exists also with a label error. Here the label is torn in four pieces. 1988 EMI Norsk A.S. – 1375077. 1988 EMI Norsk A.S. – 1375127. 1988 EMI Norsk A.S. – Promo-Jahn 2. This promo single has only one side. 1988 EMI Norsk A.S. – 12′ – Promo-Jahn 1. 1988 EMI Norsk A.S. – 1375097. 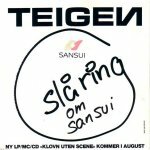 This is a promo single with a print on the cover for Sansui. 1989 EMI Norsk A.S. – 1375307. 1989 EMI Norsk A.S. – 1375247. 1989 EMI Norsk A.S. – MC -1375244. 1989 EMI Norsk A.S. – 1375327. 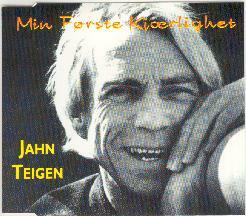 This single is released with two different covers: Number One has “Med hilsen fra Star Tour”. Printed in the upper right corner and the black text is pushed to the left. The black writing is centered on number two, and there is no print in the upper right corner. The Single below confirms this. 1990 EMI Norsk A.S. – 1375357 (Yellow vinyl). EMI Norsk A.S. – MC – 1375354 (Four Songs: Smil / Mil etter Mil / Do Re M / Adieu). This single also has an error. The yellow vinyl has some traces of black on side A & B. Side A of this single is shown below. This single also has an error. The yellow vinyl has some traces of black on side A & B. Side A of this single is shown below, but this one does not have so much black traces as the last one. 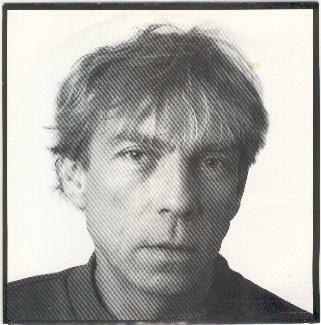 1990 Promo. 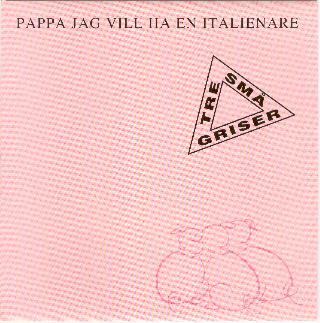 Released in context with “Artister for eldre – Momarkedet 1990”. 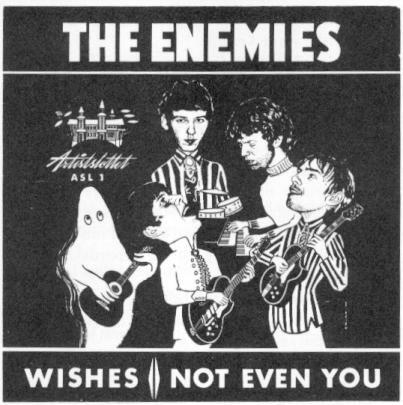 This single was not released with an image cover. 1991 EMI Norsk A.S. – 1375487 (rosa vinyl). 1992 EMI Norsk A.S. – 1375 657. EMI Norsk A.S. – CDS – 1375 652. This one was released both on Vinyl and CD. 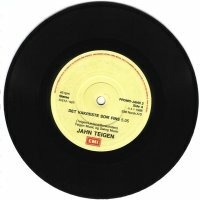 This is Jahn`s LAST record on vinyl. 1992 EMI Norsk A.S. – CDS – 137567 2. 1993 EMI Norsk A.S. – CDS – 1375772. 1993 Eva Records ANS – CDS – EVACDS 103. 1993 Stageway Records – CDS – SWPR 10. 1994 Polygram A.S. – CDS. 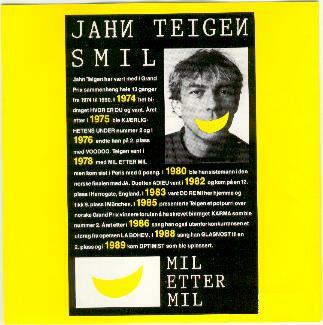 Jahn Teigen participates courtesy of EMI Norsk A.S.
1994 Polygram A.S. – CDS – Popol promo 01-94. 1994 EMI Norsk A.S. – CDS – EMI-PROMO 194. 1994 EMI Norsk A.S. – CDS – EMI-PROMO 294. 1994 EMI Norsk A.S. – CDS – EMI-PROMO 494. 1996 Polygram A.S. – CDS – 576 645-2. 1996 SCCD 9601 – CD. This CD was never for sale. It was given away to the audience at the show in Kristiansand in 1996. 1996 EMI Norsk A.S. – CDS – Teigpromo 0196. 1996 EMI Norsk A.S. – CDS – Teigpromo 0396. 1998 EMI Norsk A.S. – CDS – Jtpromo 198. 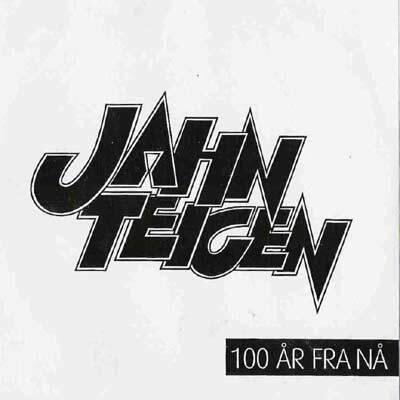 2000 EMI Norsk A.S. – CDS – Teigpromo 0100. 2000 EMI Norsk A.S. – CDS – Teigpromo 0200. 2000 EMI Norsk A.S. – CDS – Teigpromo 0300. 2003 Global Music – CDS – GMPROMO 0104. 2004 Global Music – CDS – GMPROMO 0204. 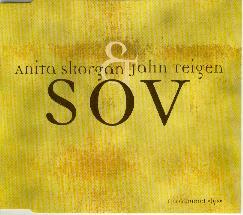 Melody: Jahn Teigen and Anita Skorgan. 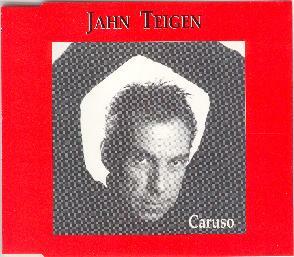 Arranged and produced by: Jahn Teigen, Anita Skorgan and Kyrre Fritzner. This CD was made in 3 steps. And here they are. 1 Edition shown here with a plastic sleeve, and never published. 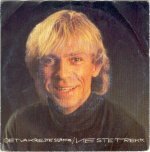 Recorded in FWV Studio in Fredrikstad And Teigen Studio in Oslo. 2 Edition shown here with regular see thru plastic cover, and never published. This is A radio single. 3 Edition shown here with the orginal cover. Only 1 000 copies of this one. There is also an error in the cover. 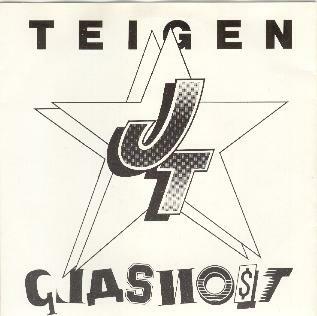 This is a promo single. Currently not for sale. This is a PROMO CD single. 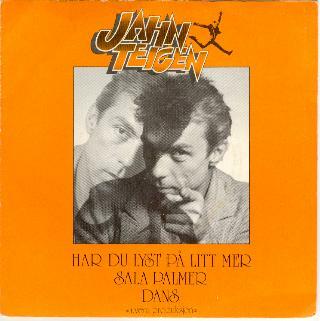 This song has been recorded in Swedish with Ingamay Hørnberg & Jahn Teigen. You can find the song on Ingamay Hørnberg`s CD “Dag till ro”. The CD you can find on the Misc pages. 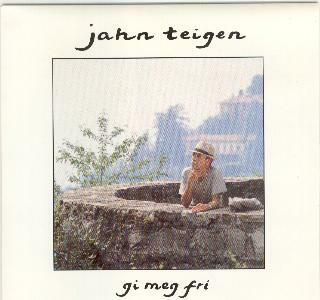 “Engel” is from Jahn’s CD “Magnet” released in 2000.